Happenings with Z5: Ooh La La! 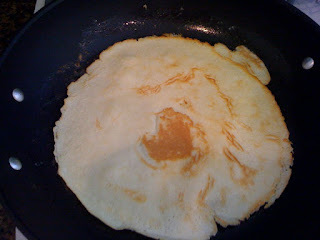 This morning I decided to try and make French crepes for breakfast. I was a little worried as I don't have a crepe pan. I used Omid's big wok/saute pan instead. It worked surprisingly well. 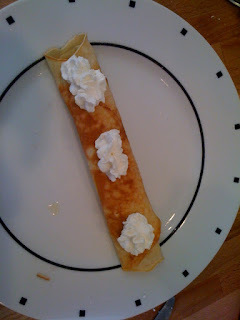 If I had known crepes were this easy to make, I would have made them years ago. Oh well. This is our new breakfast favorite. Nas' crepes were full of butter & powdered sugar, while Matty filled his with strawberry jam (compliments of Laurel) and whipped cream. 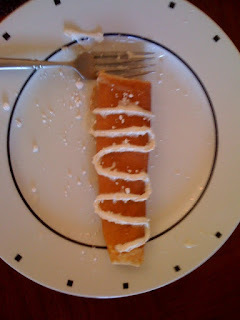 The recipe said it would yield 14-16 5" crepes, where mine yielded 4- 11" inch crepes (because of the large pan I used). First try - not so good. Second try - I liked this one much better. Sift dry ingredients together. 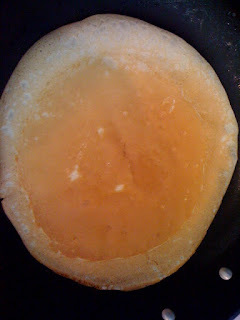 Make a well in the center and add wet ingredients. 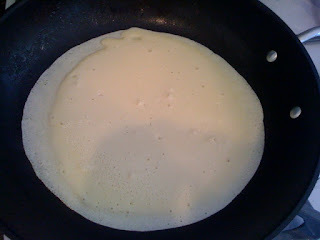 Pour into a hot crepe pan and cook until brown on one side. 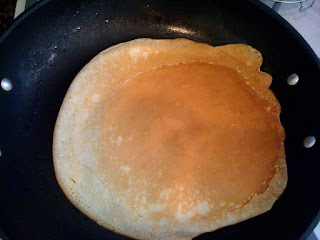 Flip and cook the reverse side. Enjoy!